What’s the difference between foaming and gel cleansers? And where do cream cleansers fit into this whole mix? Read on to find out. Are you confused by the crazy amount of options there are when it comes to cleansing? 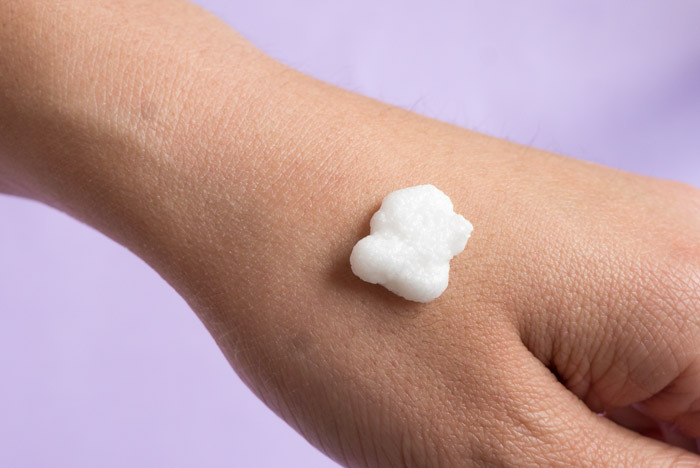 Gel, cream, foaming—what? The skin care world is a vast, all-consuming beast, and while it’s great to have options, sometimes having so many makes it hard to decide what products will work for your skin. This is especially true when it comes to cleansers. They come in so many different formulations which are geared towards specific skin types. Keep reading to find out what exactly is the difference between foaming, gel, and cream cleansers. Foam cleansers are just that: cleansers that have some sort of foaming, sudsy quality to them. They’re usually suggested for oily and acne-prone skin types since they are meant to deep clean the skin by getting rid of excess oil and sebum, as well as work to uproot any debris stuck in your pores, helping to keep your skin clean and refreshed. These cleansers often get a bad rep because of a well known ingredient called sodium lauryl sulfate which tends to cause irritation, but if your skin works well with SLS, by all means keep using one with that ingredient. Finding the right cleanser is about figuring out what works for your skin, so instead of sticking to so-called skin care rules, go with how your skin feels. On the other hand, if your skin is irritated and left feeling dry and tight by rougher surfactants like SLS, then it might just be in your best interest to try out a different cleanser or formula that isn’t so harsh on the skin. If you usually avoid foaming cleansers, there are other surfactants that can be used to bring about that foaming texture in a gentler manner and avoid stripping the skin. 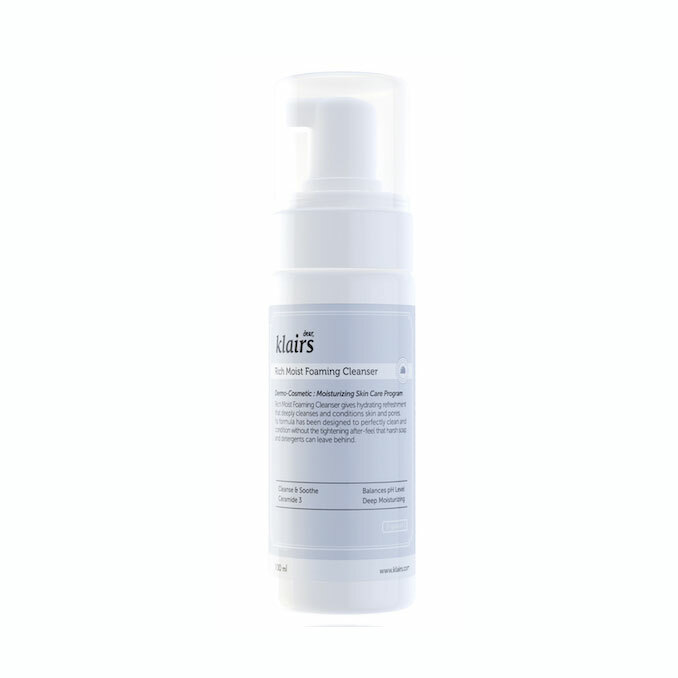 For example, the Klairs Rich Moist Foaming Cleanser replaces SLS with a hydrating amino acid rich sudsing agent that help to keep your skin balanced and moisturized after use. Another unique cleanser is the Enature Marshmallow Cleansing Foam. It uses a blend of marshmallow leaf, lychee, and maca root extract to envelop your skin in a cushiony foam that doesn’t dry it out. The marshmallow leaf helps to deeply nourish while soothing irritated skin. At the same time the lychee and maca root work together to fortify your skin’s barrier and stimulate cell renewal, leaving your skin hydrated and glowing. There are a variety of different foam cleansers on the market and while these are usually toted as the perfect cleansers for oily and acne-prone skin, it might be worth it to give one a try as long as you choose a formula that will work for your skin. Gel cleansers have a completely different texture from the light and airy one of a traditional foam cleanser. Instead, they have a thick gel consistency that provides a smaller amount of foam and a milder cleanse. Although they provide a milder cleanser, don’t confuse that with an inefficient one! This just means they cleanse your skin without leaving it feeling stripped. Generally, these are recommended for those with combination or normal skin, but again, this is all relative dependent on how your skin reacts to different formulations. 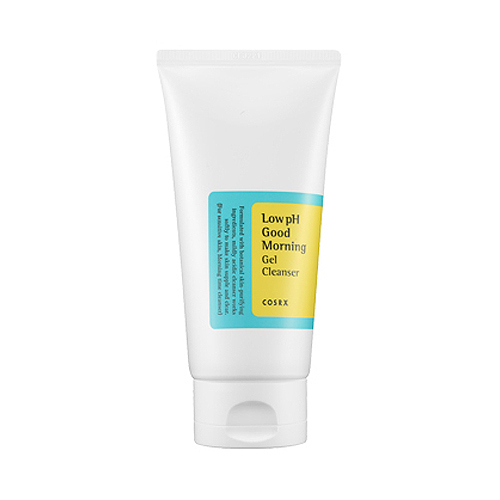 If you’re interested in giving gel cleansers a try, the Cosrx Low pH Good Morning Cleanser is an effective and affordable option to start off with. It’s formulated with salicylic acid, tea tree oil, and allantoin to deep clean and soothe, making it perfect for those with acneic skin. Plus, its low pH which means it won’t disrupt your skin’s natural barrier. Just like foam cleansers, gel cleansers come in all different shapes and formulas. 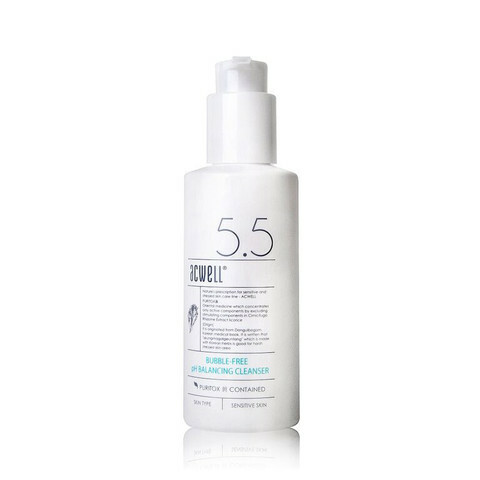 The Acwell Bubble Free pH Balancing Cleanser is a unique one in the arena of gel cleansers as this contains a completely bubble-free formula, AKA no sudsing. 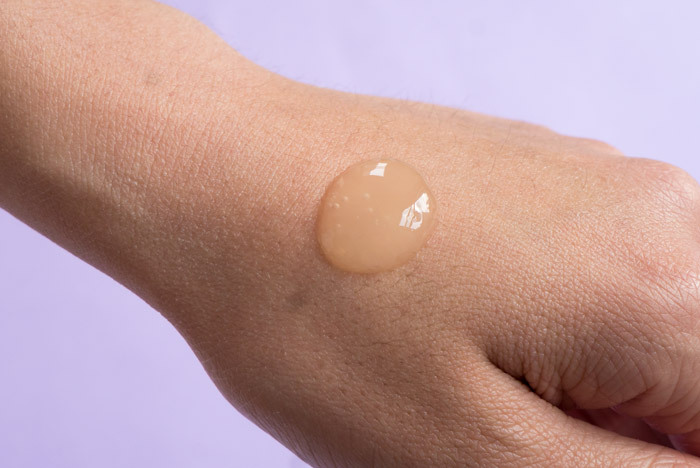 The formula of the Acwell cleanser revolutionizes the idea of a gel cleansers in that people tend to believe you need bubbles to cleanse your skin properly, but that’s not always the case. This cleanser uses centella asiatica, aloe leaf extract, along with witch hazel to hydrate, calm, and brighten skin with every wash. It also contains licorice to further brighten up dull skin. Much like the Cosrx cleanser, this one is also low pH, which helps to balance the skin and leave it refreshed post-cleanse. Cream and/or milk cleansers avoid the suds altogether and instead give you a creamy formula that mildly cleanses the skin. They’re meant for more sensitive, dry skin types and use natural oils and emulsifiers to cleanse the skin while helping to soothe any redness and inflammation. You’ll want to use these on dry skin, much like you would an oil cleanser, as this helps to increase its cleansing abilities, leaving you with fresh, hydrated skin. The Missha Near pH Balancing Cleansing Cream is a great option that contains an amino acid-based humectant formula plus a natural saponin complex to gently deep clean the skin and draw moisture to it, keeping it hydrated longer. This cleanser is perfect for sensitive skin types who are prone to redness since it’s formulated with as a little ingredients as possible to avoid unnecessarily irritating the skin. Another option is the Innisfree Minimum for Sensitive Skin Cleansing Milk, which is a soap-free cleanser that cleanses with the help of plant extracts and emulsifiers without over drying your skin. It contains glycerin to deeply nourish while madecassoside (a derivative of centella asiatica) calms red, angry skin. Trying to find the best cleanser can be a struggle given that there are so many options on the market but hopefully by understanding how each one works it will help you to narrow down your search! Don’t feel limited by one particular cleanser category either as the formula is also extremely important. At the end of the day, it’s all about ingredient lists and personal preference so you can choose what works for you. + What have you noticed is the biggest difference between foaming and gel cleansers? Are you into cream Let us know in the comments below!